Every home we build is custom. T4C Cross Texas Homes only uses quality building products to ensure that your structure is built to the highest standards. 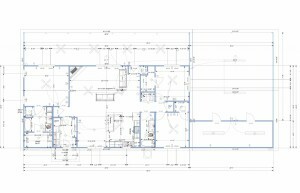 You have the option of choosing from one of our blue prints, or you can design your own. Our homes are always beautiful, well-constructed, and extremely comfortable, plus they offer tremendous curb appeal. We employ licensed electricians, plumbers, and HVAC professionals to ensure quality and reduce the cost to you. If you’re looking to have a quality, affordable home built just the way you like it, T4C Cross Texas is the place to go. Ask our team about the savings associated with a ready-built home. © 2019 T4C Cross Texas. All Rights Reserved.